A neat highland single malt for the travel retail! 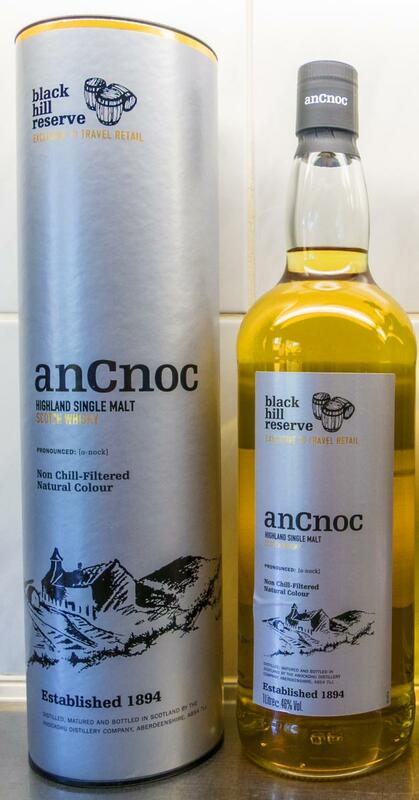 AnCnoc is the name of the whisky produced by the Knockdhu distillery (the malt was not named Knockdhu to avoid confusion with Knockando). You can guess it: Knockdhu means black hill and thus this malt is named after that. It appeared in 2014 as a Travel Retail Exclusive and matured on 1st fill American Oak ex-bourbon casks. Very accessible nose on breakfast cereals, croissants, liquorice candy (the one with the white sugary layer around it, very popular in Holland), mint, apple and citrus… Sprite! I cannot help being reminded of this soda drink. Far from earth shattering, but quite summery and pleasant. The body could have been a bit more… the taste is a perfect continuation of the nose, but more candy-like with a bitter element from the wood. Clearly some peat was involved. Cinnamon and cloves precede a buttered croissant. Some orange marmalade and some dark sugar emerge. 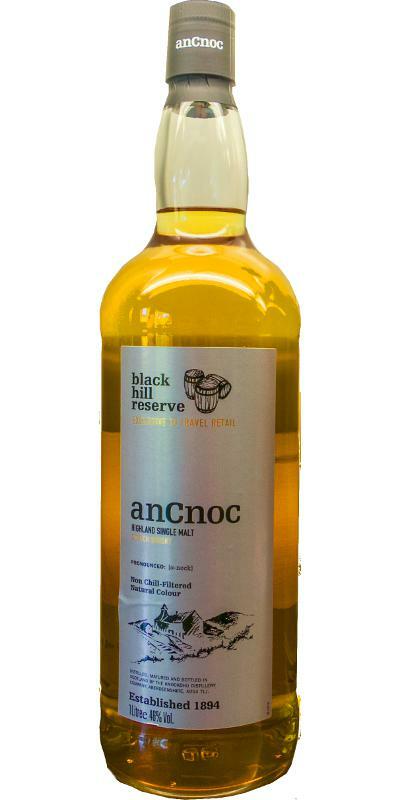 The finish is the best part of this AnCnoc: long, candy-like but with a dark and sweet edge. If you put this bottle on the table while enjoying some sunny afternoon with friends, you’ll have to take a trip to the glass container before you know. Around 35 to 50 EUR, which is quite cheap for a liter of this whisky. Inexpensive and relatively uninteresting young NAS malt that did'nt unseat anyone, and fairly weak despite 46% and Non-Chill Filtering. Dry wood, slightly cardboardy, unripe pears and apples are distinct, but also some yeasty, bready notes on the end along with something sooty. Not very interesting but not unpleasant either. With water: Slightly more balanced and the fruit has some leaves from the tree in there suddenly. The apples and pears are slightly more ripe now and has both some sweet and some citric elements, and even some sour berries. Young oak. With water: Sligtly less citric, but not very different. Young, yes, but not too much so, and with some nice zesty punch from the first-fill Bourbon casks, including a decently oaked finish. Solid summer sipper. Delicious, rock solid NAS, nice basic character with interesting leg notes, by the 46% he has good strength and a neat finish, for less than 40 € / liter bargain and buy recommendation.